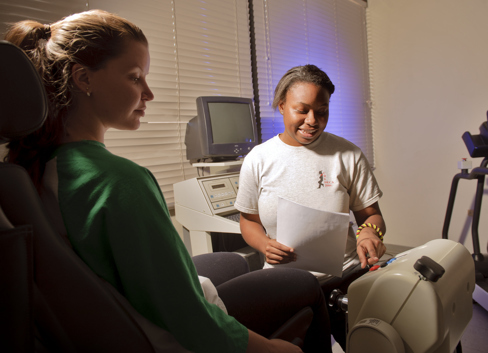 The Division of Kinesiology and Health offers a Bachelor of Science (B.S.) degree in Kinesiology and Health Promotion and Physical Education Teacher Education (PHET). For more information about the Kinesiology and Health Program, refer to the University Catalog. 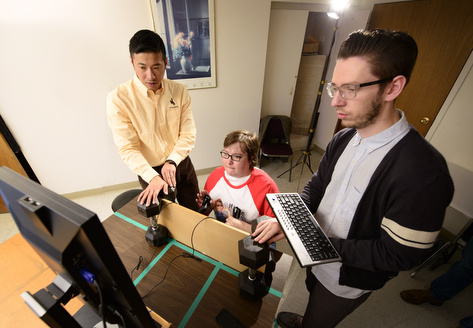 Students in the Kinesiology and Health Promotion program (K&HP) can pursue the areas of health promotion, clinical exercise physiology, biomechanics, nutrition, basic science, behavior science, and business management. The K&HP program is an excellent preprofessional program for students seeking to enter the field of medicine, specifically to become a physician, physician assistant, occupational therapist, physical therapist, dentist, optometrist, ophthalmologist, chiropractor, or other related occupation in medicine. Students in the Physical Education Teaching program are certified to teach physical education K-12 in the public schools of Wyoming. The Physical Education program is a nationally accredited program through NASPE/CAEP for meeting the National Initial Physical Education Teacher Education Standards. The program has also been nationally recognized for the integration of theory and practice, and specifically for the multiple K-12 practicum teaching opportunities provided to students as they progress through the program. The program also offers individuals the opportunity to combine state certifications/endorsements in health education K12, adapted physical education K12, and coaching. Professional placement rates for graduates of the physical education program are exceptional. Over the past decade (2008-2018), 130 students have graduated the physical education program at UW. Of those 130 graduates, 83 percent are currently in full-time employment in teaching-related fields (teacher, principal) and more than half of the graduates are teaching health and physical education in the state of Wyoming. The program has a close connection to the State Physical Education Organization (WAHPERD) and if you want to teach K-12 physical education and coach this is the program for you! Anticipated Graduation Date - Please type your responses. Please note: This is a .pdf form. If you do not have Adobe Acrobat Reader, you may download it for free at get.adobe.com/reader/.